Greens powders filled with spirulina-this and wheatgrass-that are everywhere. They’re good for us right? From gyms to juice bars, to canisters of powder lining Whole Food’s shelves, we miss the bandwagon if we don’t buy into promises that our skin will glow, our antioxidant stores will overflow, and our inflammation will be at an all time low. I’m totally with you. The idea of a supplemental greens powders is brilliant. Unfortunately, the reality of most supplemental greens powders I’ve seen on the market (when I look closely at their ingredients and preparations) has not been so brilliant. Good news: I’ve finally found one that ticks all my boxes. But first, what’s wrong with a lot of the greens formulas out there already? Most contain grasses or grains that are gluten cross-reactive (even if they’re labeled as “gluten free”) which can disrupt microbiome health and negatively impact immunity in sensitive individuals. They can also be high in hidden additives, artificial sweeteners, and independent testing of certain brands has shown mold and heavy metal contaminants. Another concern for me has been the over-use of ingredients like spirulina or chlorella, which are both high in copper. We want the mineral stores in our bodies to be delicately balanced. But because of the toxic world we live in (some pesticides contain copper, copper pipes in old buildings, unfiltered tap water, and hormonal imbalances which create and are exacerbated by the sequestering of copper in our bodies), copper excess (and consequently zinc deficiency) is becoming more common. Research is mixed, but according to some, adding a supplemental green that’s naturally high in copper (like spirulina) might tip the scales towards an excess in this mineral. And when in excess, copper can drive angiogenesis (the process of new blood vessel formation that is hijacked in many disease processes) and inflammation. It’s important, also, to note whether the product contains ingredients known to impact hormone levels. For example, Maca Root interplays with estrogen metabolism, so it’s always a good idea to run each ingredient through the filter of its potential interplay with hormones. And does contain all the key, powerhouse ingredients I look for when it comes to reducing free radicals, increasing antioxidant stores, reducing inflammation, and balancing body systems through use of adaptogenic and immune modulating blends. I came across Cell Protector by The Synergy Company. The reasons for including each organic ingredient in this formula is thoroughly explained on The Synergy Company’s website, but in combination, this blend supports the health of our DNA, helps promote healthy detoxification processes in our body (with special focus on our liver), and “supports glutathione” regeneration, our body’s master antioxidant. 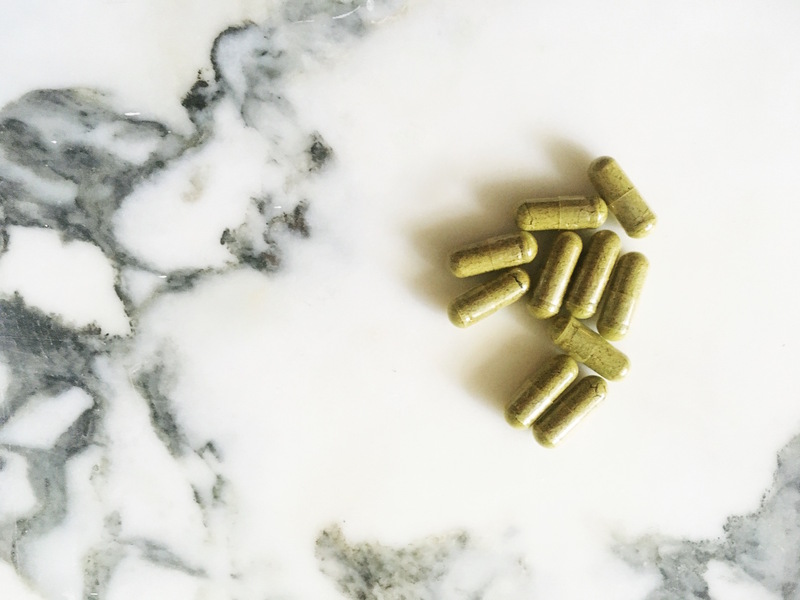 Beyond just some powerhouse greens, it’s loaded with other herbs and blends that work together to favorably impact health. Consider it a greens formula on overdrive. Ingredients like turmeric (anti-inflammatory, anti-cancer, antioxidant), dandelion (liver cleansing and detoxifying), pomegranate extract (rick in polyphenols), and sulforaphane (an anti-cancer compound from cruciferous vegetables) work synergistically to favorably impact our immune systems. I’ve begun including this formula as part of my comprehensive wellness protocol, and have encouraged family and friends to do the same. But, I still try to get in my 9 cups of vegetables and fruit a day. Let me know what you think of Cell Protector or your experience with greens powders in the comments below. Thanks! Think I’m gonna try this!